Recover Microsoft Access Security workgroup databases passwords. 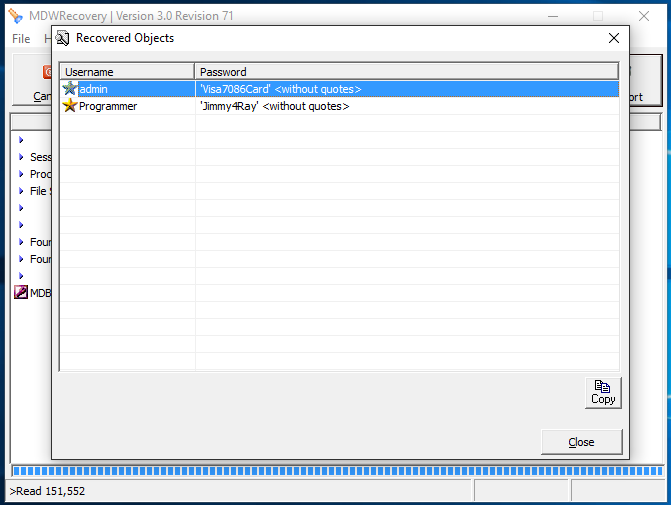 Recovers users and admin passwords from workgroup database. MDWRecovery recovers users and admin passwords from Microsoft Access Workgroup files (*.MDW and *.MDA). MDWRecovery can also recover passwords from Simply Accounting Security files (*.SDW). No administrator privileges required to restore data. Accurately recovers passwords from Unicode and multilingual MDW files. Accurately recovers passwords from Unicode and multilingual MDA files. Recovers usernames and passwords from Simply Accounting SDW security files. 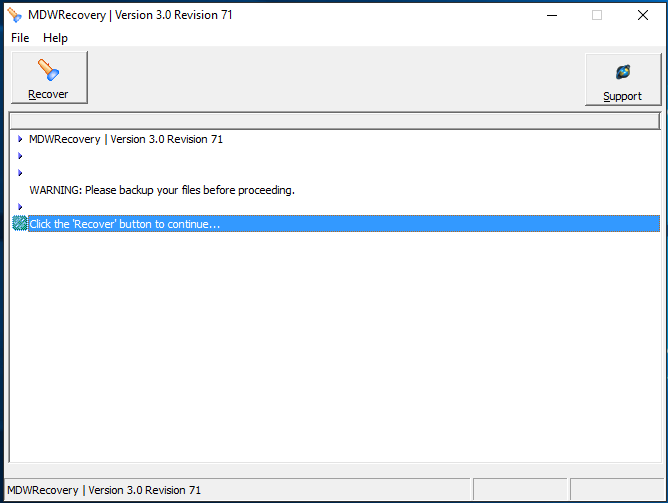 Please click the link below to download the trial version of MDWRecovery. Microsoft Access can't open or convert this previous version database. @The database was created in an earlier version of Microsoft Access. You don't have appropriate security permissions to open or convert databases created in earlier versions. This database is in an unexpected state; Microsoft Access can't open it. @This database has been converted from a prior version of Microsoft Access by using the DAO CompactDatabase method instead of the Convert Database command on the Tools menu (Database Utilities submenu). This has left the database in a partially converted state.If you have a copy of the database in its original format, use the Convert Database command on the Tools menu (Database Utilities submenu) to convert it. If the original database is no longer available, create a new database and import your tables and queries to preserve your data. Your other database objects can't be recovered.